Does anyone have any information on mechanical peg tuners versus the wooden pegs? Is it possible to have them installed on my present fiddle? There doesn't seem to be much information on them. I guess I'm just curious as I see all the other string instruments that are played and the majority have mechanical peg tuners or some other method of tuning that doesn't involve the ancient method of friction and peg drops. I've heard that one reason that the fiddle hasn't evolved like other instruments is that it affects the quality of the sound but others say it really doesn't. If that were the case, wouldn't it affect the sound on a guitar or mandolin or dobro? I'm really set on getting my fiddle outfitted with metal mechanical gear driven peg tuners. I'm just not sure how to go about doing it. I live in a very, very remote region of west Texas. A two hour drive for groceries armed with a large ice chest is normal for us. So, taking my fiddle to a luthier will not be easy to find I think but first I just wanted to know other's opinions on this. Thanks ya'll. @Siarl Bychan; Welcome to the forum. If you want mechanical peg's on your violin, I recommend the "Perfection Planetary Geared Pegs" here are the fiddlershop. I have them on my violin and would never go back to friction pegs. They are great and you can install them yourself using a standard peg hole reemer. Follow the instruction's and take your time doing it. Here is another link with all the information re: Planetary Pegs. Myself, I had my luthier install them for $ 100.00 including the peg's, but you can do it yourself, one member here, Mad_Wed , installed them herself, she is in Russia and she indicated in a previous post that she has kinda lost faith in her luthier. Oh, and welcome to the forum, I think you'll enjoy being part of the family. a little bit on peg drops: https://fiddlerman.com/forum/fiddle-violin-repair-making-and-set-up/are-peg-drops-habit-forming/ Are peg drops habit forming? I also would recomend the perfection pegs. There is another type of geared peg but they just don't fit all that well. They seem to be easy to install and I'm sure you could do it. Welcome to the forum. I totally understand about going shopping. We drive a little over an hour with the cooler in the truck. We had a grocery store in town but it closed up. Main street is 2 blocks but actually we don't really even have a main street or a post office. We use the Nicholson post office but live in Lathrop Township. The only thing we have is the Town Grange. Here is a link to the type of tuner I believe you are looking for. @Siarl Bychan.... I hope those brass mechanical peg's are not what you plan on buying, but I think, Kevin is correct on what you meant. There are a couple downfall's using that type of mech. peg. 1. You have to put 5 screw's into the peg box, should you decide those are not what you are looking for, you're stuck with screw hole's, which will be next to impossible to fill and match the stain. You also risk spltting the wood with the screw's. 2. You are adding more weight to the violin, unnecessarily. If you intend to play for extended perior's of time, it may take a tole on your left arm. The brass mechanical pegs are what I have on my fiddle. Comparing to the one "normal" fiddle I have ever held, I will say that the weight balance is definitely different. I did OK when I used the standard under-the-chin hold once I had a well fitted shoulder rest. Now that I am trying out the old-time chest hold, I don't think it makes too much difference since the weight rests in your hand anyway. My tuners are circa 1947, and the knobs have disintegrated, so I have to turn the pegs with a set of pliers until I get my round tuit and replace the knobs. Once I put on a bit of machine oil, they worked just fine after sitting in a closet for 20+ years gathering dust. I rarely tune [see note about pliers] and the fiddle doesn't go out of tune too badly. I guess it all comes down to a matter of preference, like most things with the violin. I will say that once you install the mechanical pegs, going back to regular pegs would probably require replacing the peg box. Yes, and the weight is added in the worst place, so that there is leverage upward on the chin, making neck problems more likely. Welcome to the forums, Siarl Bychan! As Kevin mentioned, there is another type of geared peg made by Wittner. Definitely worth mentioning and perfect to install if you have standard reamed pegs. The problem is that without a reamer you are stuck with the length that they come at. Trimming the excess is a piece of cake but the mechanical part (rotating axle) may not end up where you want it too. The Wittners can slip and require a drop of glue on the tip. They come in several different sizes as do the planetary perfection pegs as well. Thanks Fiddlerman and everyone for this information on the mechanical pegs. I definitely am interested in one of them. I just need to decide which. I wish I could tell you which but I have received conflicting opinions from all over. 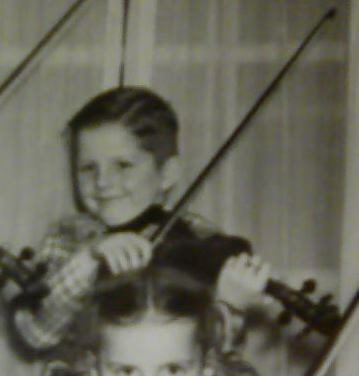 We have installed both on violins by request and have not yet determined which will be least trouble and last longest. When they are new they appear to be great. Time might be the only thing to tell. I have some in my fiddle! I think they are precision pegs, I forgot already. I love them. I will never go back to regular pegs. I've only had this violin for a year, year and a half, so far nothing is wrong with them. People may say it's wrong to put them on your violin, but there's nothing wrong with updating a classic instrument to the 21 century imo. I personally don't think it is wrong. For me, it's 10 times faster to tune a violin with regular pegs and no issues whatsoever. For most, and especially beginners, these geared pegs are great. I have been listening along here. I would love to see these pegs and turn them for myself. But after struggling to tune and learn over the last year ...and over tightening and breaking a lot of strings... Well my heart is set on just traditional pegs. But I think this innovation is cool! If you have a set of well fitting pegs they are real easy to tune. If you have pegs that stick or slip they could be a real pain. What I am saying is people with bad pegs want geared pegs but people with well workinh pegs accept how they work and like them. Before changing to geared pegs try a violin with good pegs first. I agree with you Kevin for the most part but learning to use good pegs requires some time and practice as well. I watched my son, who doesn't play the violin, try to tune a violin and can understand how hard it can be for a beginner. Agreed. But... I had greatly-fitted pegs! And i like, for example, to try different types of strings on my violin. Recently i've put Thomastik spirocore and they are steel. No questions, i can get them in tune with the regular pegs. It takes about 6-7 times for me of back-and-forth movements before i hit that right note - 'cause if i miss it a bit i can't turn that "micron" to the right sound, because i've already pushed the peg IN. And especially this is annoying with the new set of strings, because after 2 hour practice and tuning i barely can feel my fingers after all of those peg-turnings. And there have to be considered the hand strength of a player, so even with the good fitted pegs it could be tricky. i know i know i know : there are the fine-tuners You'll say, but that's another question... don't like them, just don't, LOLOLOL! No questions of course related to the synthetic strings. If i'd use only them - i'd use the regular pegs!!!! But i think there will be no harm if a person will try different types of pegs and decide which are the best. At least there IS always an opportunity to go back and put the regular pegs again.